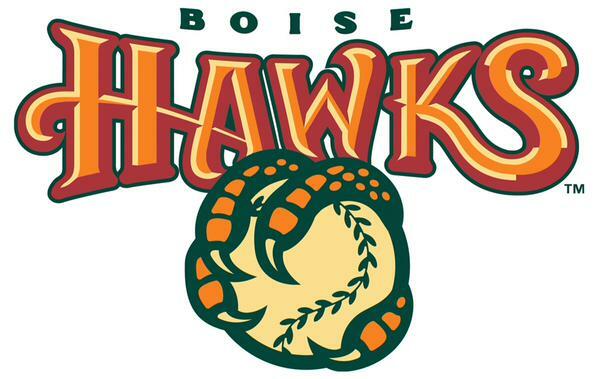 A pair of city leaders hope the Boise Hawks will change its feathers. BoiseDev was provided with a large trove of documents from Concerned Boise Taxpayers, obtained by the group under public records requests. Correspondence this summer between Boise City Council member and CCDC board member Scot Ludwig and Greenstone Properties CEO Chris Schoen indicates the idea to “rebrand” the team is in the works. Ludwig pitched names like the Boise Chukars, Boise Rapids, Boise Rocks — and even Boise Sheepherders. Ludwig and Boise Mayor Dave Bieter spent time brainstorming ideas, according to an email from Ludwig to Schoen. Ludwig quickly realized a conflict with nearby Idaho Falls on one name. Schoen appeared to acknowledge the rebranding process and liked one of Ludwig’s ideas. Jeff Eiseman, president and partner at Agon Sports & Entertainment, a co-owner of the Hawks told BoiseDev a name change is a big if. Eiseman said a new soccer team could make it more challenging to also rename and revamp the Hawks. A request for comment from the City of Boise went unreturned.